At Clopper’s Mill Dental Care in Germantown, we understand the health benefits of a great smile, and the confidence that comes with it. That’s why we have dentists and oral surgeons dedicated to do whatever it takes for your smile to look and feel great. However, a great smile doesn’t always come easy. Living without a tooth or multiple teeth can cause social anxiety, troubles with chewing and eating, and a number of oral health problems. Luckily, dental implants are a great way to restore the look and the health of your teeth, gums, mouth, and jaw. In this post, we will cover the basics of dental implants, and some of the benefits of undergoing such a simple, low-maintenance procedure. A dental implant is essentially a substitute for the roots of a missing tooth. The implant is anchored to the jawbone, and adorned with a prosthetic tooth, giving the look and feel of a real tooth. People of nearly all ages can be candidates for dental implants—if they have a fully-grown jaw. They are a great option for anyone who has lost one or more teeth due to injury, dental diseases, or tooth decay. Dental implants are a great option for those who want a permanent, low-maintenance dental restoration option. Here are just a few of the benefits of receiving a dental implant. Empty spaces in the mouth where teeth used to be can lead to a number of health problems, including deterioration of the jawbone and a loss of strength in the mouth and jaw. Dental implants protect and stimulate natural bone growth, which can help retain a strong, healthy mouth. You’ll have an easier time speaking. Dentures often slip, slide, and click in the mouth during exciting conversation, which can be embarrassing and highly inconvenient. Dental implants are firmly rooted into the jawbone, making them a dependable, stationary, and relatively low-maintenance dental restoration option. They help you eat your favorite foods. With dental implants, you’ll be able to bite and chew naturally, and experience the full taste of foods. Dentures can often slide around during meals, hinder proper chewing and jaw motion, and take a lot of maintenance to keep clean. Dental implants fit right into your regular brushing habits, so you can eat your favorite foods and effectively keep your mouth clean. Dental implants are incredibly durable and resistant to bacteria, so you’ll never have to worry about decay, deterioration, or cavities. They’re a durable, long-term fix. Dental bridges often last an average of five to seven years—10 years max with exceptional care and maintenance. Dental implants might need the occasional tweaking, but they can last a lifetime with a proper maintenance regimen. 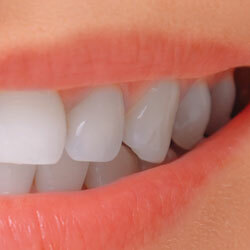 For more information on our dental implants and other dental services, feel free to contact us! We are the #1 rated dentist for Germantown, Gaithersburg, and Clarksburg, with a dedicated staff of dentists, oral surgeons, and dental hygienists who care about your smile and your health as much as you do. Discover the benefits of dental implants yourself, and schedule an appointment with Clopper’s Mill Dental Care today!